What Are You Taking With You? What is the Purpose of Your Trip? As of January 2020, all non-exempt, collaborative human subjects research (i.e., studies in addition to clinical trials) will be required to use a single IRB for research sponsored by other federal agencies following the Common Rule. Only the IRB review functions will be handled centrally. Related local functions (e.g., ancillary committee review, training fulfillment verification) remain with the individual participating institutions. The conduct and reporting of the research remain the study team's responsibility (see Study Team Process below). For an NIH-funded multi-site project, investigators must designate the single IRB-of-Record (sIRB) as part of the grant or contract application. The IRB-of-Record may be an external IRB (either an accredited commercial or other academic IRB). To comply with the NIH sIRB policy, when a U-M Principal Investigator (PI) is the awardee of a multi-site grant, U-M will evaluate on a case-by-case basis whether to serve as the sIRB or to cede oversight to an external IRB. Before you begin an application for funding for a multi-site study contact the applicable U-M IRB to discuss the sIRB options. As a result of the NIH sIRB policy and the NIH's 2014 expanded definition of a clinical trial, multi-site behavioral interventions conducted by U-M researchers will be required to designate an sIRB. This may include the use of an accredited commercial IRB, which previously has not been an option for studies under the jurisdiction of IRB-HSBS or IRB-Flint. Will U-M act as the sIRB? Indicates the selected external IRB in the PAF/CTRF in the eResearch Proposal Management (eRPM) system. Contacts the external IRB to determine the IRB review fees for incorporation into the proposal budget. Commercial IRBs post their rates on their websites. Some academic IRBs may also charge a fee. Works with the external IRB and the applicable U-M IRB to request an IRB Authorization Agreement (a.k.a. "reliance agreement"). This is the legal contract negotiated and signed by U-M's HRPP Director that cedes IRB oversight authority to the external IRB. If utilizing a commercial IRB with which U-M has negotiated a master service agreement, an individual IRB Authorization Agreement may not be necessary. No one on the study team (or at the U-M IRB) has the authority to negotiate or sign the IRB Authorization Agreement. Completes a Requesting Review by a Non-UM IRB (a.k.a. "ceding") application in the eResearch Regulatory Management (eRRM) system. The external IRB usually will have an application process which the study team also must follow. What Expenses Might I Budget For When Using an External (Commercial) IRB? An external (i.e., commercial or other academic) IRB may charge for services when designated as the single IRB-of-Record (sIRB) for a multi-site, non-exempt human subjects research project. Estimated expenses are negotiated on a case-by-case basis in the service agreement between U-M and the external IRB, and budgeted for as direct costs in the sponsor's (e.g., NIH) funding proposal and award. Administrative Services - letters, study changes not requiring IRB review, etc. Other - services as applicable to the project, e.g., foreign language translation, etc. Factors that impact the budget for sIRB services include the number of performance sites, level of risk to the subjects and/or institution, duration of the study, and more. See the External sIRB fee schedule -sample for an example. The principal investigator is not authorized to sign the negotiated service agreement with the external IRB. As a financial transaction, the agreement must be signed by an authorized official from U-M Procurement Services and may require approval from the U-M Regents. 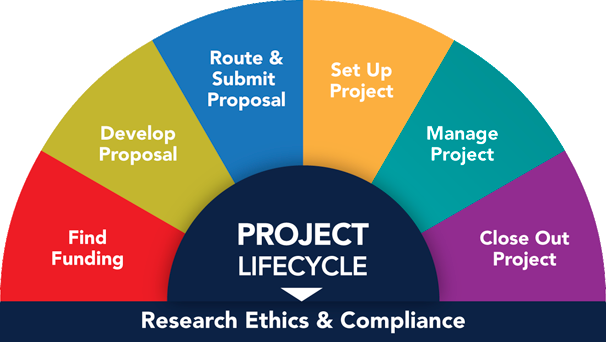 Always contact your U-M IRB to determine sIRB requirements prior to submitting funding proposals for multi-site, non-exempt human subjects research. Commercial IRB Guidance Link to IRBMED's Central IRB Information (External IRBs) webpage. This webpage includes "Working With" guidance documents for each of the commercial IRBs with which U-M or Michigan Medicine has a master agreement. To ask a question, express concerns, or provide suggestions about human subjects research protections at U-M, please send a message to hrppumich@umich.edu. For more information, see IRBMED's Central IRB Information (External IRB) [link] website. Have something to say about U-M's implementation of the 2018 Common Rule & other changes?